Why Give Up Your Eating Disorder? I asked myself this question many times over the eighteen years of my anorexia. I could list numerous reasons why I should give it up, but none of them were enough to make me let it go. It was serving me – it gave me a feeling of control when everything in my head was a huge muddle. I couldn’t make sense of my feelings, and I had no way of expressing them, so all I could do was do the one thing that I knew I was good at – not eat. I have heard and read other sufferers describe their eating disorder as their best friend. I never felt this – I hated it with a passion. I despised what it turned me into, and what it was did to my friends and family. I guess I can only describe it as being in some sort of abusive relationship. I was under its control and if I dared leave it, I would be punished. So, you may ask, why on earth did I not leave if sooner? Why did I continue to obey it for almost half my life? Well it had become all I knew. It was my identity and it was my safety net. I had so many negative feelings deep inside me, that I wanted to hurt myself. I believed that I deserved to be punished, and so until I had resolved those feelings, I couldn’t and didn’t want to stop. Anorexia gave me a false sense of security, and it wasn’t until I truly believed that I deserved and wanted a better life for myself, could I begin to heal. Freedom – I wasted numerous days, hours and years of fun and friendship, because I didn’t feel free to go out to a lunch, dinner or party because food was always part of the plan. I chose my eating disorder over my relationships time and time again. The biggest thing I learnt in recovery is to do the opposite. Choose the relationship over your eating disorder, and by doing so I have gained a wealth of new friends and connections. A future – My anorexia didn’t just starve me of food, it starved me of a future. I was slowly but surely losing my life. My job which I desperately loved was becoming too hard to hold down. My friends and family were getting more and more inpatient with my anorexic behaviours. But the one thing that made me scream for help, was when I could no longer muster the will to get on my horse. That was the day when I said to myself this HAS to stop. The one thing that gave me the most pleasure had been taken from me. Today, I have a future, I am back working in a job I love, I have regained relationships and I am back riding and breathing in the fresh air. Life is 100% better when you have things to look forward to. Identity – My anorexia had become my entire identity. It had taken up a role within my family and it was serving them as well as me. I craved attention and thought that my eating disorder was the only way I could get it. The truth was that all I was getting was negative attention, and causing hours of worry and pain to my loved ones. Letting go of my anorexia meant I had a whole new world to explore and create. It was scary at first, but it was also exciting. It was like seeing the world through new eyes; free from rigid rules and a past that was intent on holding me back. I got to redefine my world, and who and what I let inside it. Having an identity that is based on your true self, and not one that your anorexia creates for you is so much more valuable and rewarding. Mental and physical space – When I was ill, I lost all ability to concentrate on tasks. Just writing this, would have taken me days, and then I would have most likely given up. I got irritable and short-tempered easily, and I lost any sense of humour or ability to hold a conversation. In recovery, I have noticed that my mental functioning has improved, my anger has dissipated, and no longer find making decisions arduous. My physical energy has of course improved as well. I’m able to live in the world’s biggest city and get myself to work, hang out with friends and spend time with the horses. Anorexia makes even the smallest of tasks seem impossible. When I let go of my eating disorder I gained the ability to live life without feeling as though I was running a marathon every day. On the less positive side though…years of abusing my body has taken its toll. I seem to have a weakened immune system, and over the years have found myself susceptible to catching colds and illnesses that others can fight off. I get frustrated with this, but it means that I need to check in with myself more frequently. I tend to pile myself up with ‘to do’ lists and not always replenish myself adequately. Recovery from an eating disorder is no easy task, but I guarantee you it won’t be as hard or as miserable as staying in your eating disorder. Recovery is constantly reminding yourself of ‘what you are recovering to’. It is about taking a leap into the unknown and trusting that you will be ok. Ask yourself if your current life with your eating disorder is working for you? If it is then perhaps you are not yet done with it…but if it is not, then you have so much to look forward to. You don’t even know yet just how empowered and free you will feel until you finally let go of the false illusions your eating disorder has created. 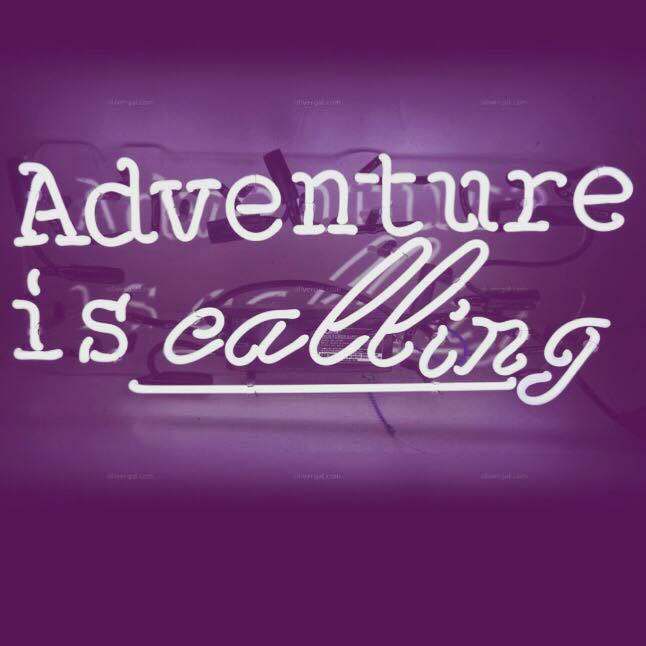 You have nothing left to lose, YOUR ADVENTURE IS CALLING.